This cozy mystery series centers around the Joie de Woofre pawtisserie and canine cafe, located in the Chicago suburb of North Haven. Kat owns the shop, with her beloved Eurasier, Baron von Bear, as spokesdog. Besides baking pawfect treats and hosting socials for her loyal furry fans, Kat becomes involved in solving the occasional murder. A portion of all proceeds from the Pawtisserie Mystery series will be donated to local pet rescue groups. 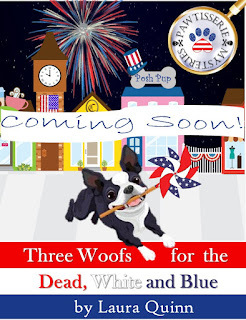 Three Woofs for the Dead, White and Blue (working title) is the first book of this series. It's all paws on deck as Kat is about to debut her pawtisserie in the midst of the town's Fourth of July festivities. More than just fireworks are set off when North Haven's elite celebrate Independence Day, proving murder never takes a holiday. 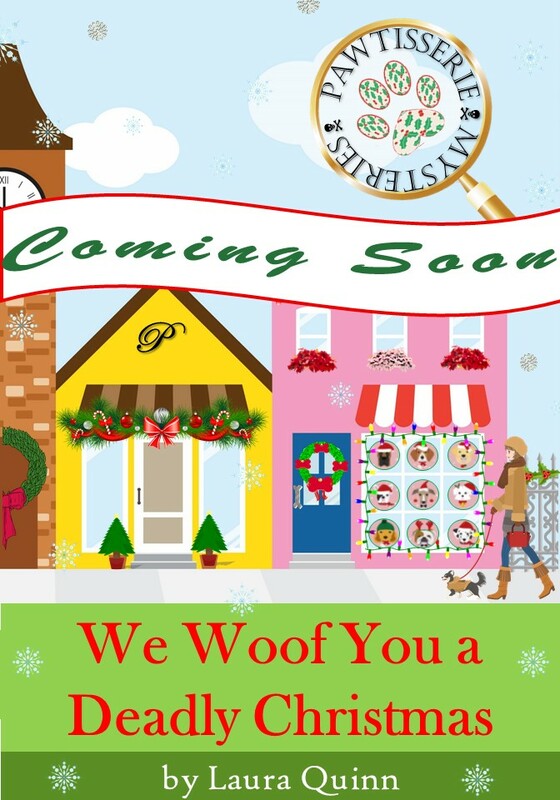 We Woof You a Deadly Christmas opens during Kat's busiest season. 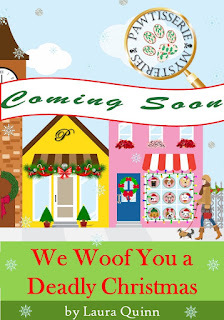 She is working her tail off to keep her store stocked, fill custom orders, and host numerous pet rescue events and yappy hours for the holiday. What happens when malice nips at her winter wooferland? For more information about Laura Quinn Books, please visit LauraQuinnBooks.com. Copyright 2018 Laura Quinn Books. Simple theme. Powered by Blogger.